Geekzine editor Andy Jamieson, and Edinburgh-based steampunk impresario Atticus Oldman, give an account of their favourite horror yarns, inspired by Halloween and the dark nights of the winter months…. “I never used to like horror movies and I still find some types of horror difficult to watch. Ghost stories and silly slashers I enjoy but tales that feature possession or anything remotely demonic I generally avoid. There are some truly great examples where horror books or films can work on a number of levels, beyond their scares and shocks. 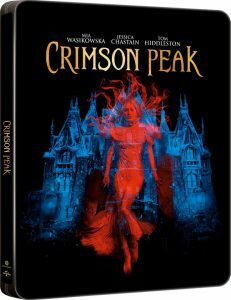 Take Guillermo del Toro’s superlative film, Crimson Peak, from 2015, for example. I consider it a horror film, but all the conflict in the film is driven by the monstrous human characters and not the ghosts, a theme he first explored in his third film, The Devil’s Backbone (2001). In Crimson Peak the very house that dominates the film is decaying, as if consumed by the sickness of the family that inhabits its domain. (I’ll be waxing lyrical about this fantastic film in a separate feature, coming soon). The same can be said about del Toro’s Pan’s Labyrinth (2006), arguably his most accomplished film, weaving the fantastical trials of heroine Ofelia and the horrifying monsters she confronts, with the all too real horrors of the Spanish Civil War. When discussing horror films, I am always drawn back to the work of the great John Carpenter, whose original Halloween (1978) still casts a long shadow that very few horror films have come close to. Carpenter’s work has always had that veneer of classy pulp, a stylistic vein that reached its crescendo in his three seminal mid-eighties films, Big Trouble in Little China (1986), Prince of Darkness (1987) and They Live! (1988), the first and last films containing horror elements, whilst the middle is a full-on unsettling fright fest. Aside from In The Mouth of Madness (1994), Carpenter would never reach these cinematic creative heights again. Another horror favourite of mine is Candyman (1992), directed by Bernard Rose, and adapted from the Clive Barker short story, The Forbidden. I really liked Barker’s early directorial efforts, Hellraiser (1987) and Nightbreed (1990). The latter has seen some resurrection in recent years due to the fan-powered Cabal Cut, which ultimately led to an official Director’s Cut. 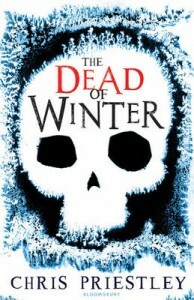 I don’t read much horror, being more into fantasy and science-fiction, but Clive Barker’s work appeals to me very much, as his strain of horror fiction charts the fantastical in truly imaginative ways. Cabal (1988) – the source material for the aforementioned Nightbreed – is a lean thriller about a hidden society of monsters, who are more ‘human’ than those that hunt them down. Weaveworld (1987), meanwhile, is Barker’s masterpiece, a flawless behemoth that mostly takes place within another world, trapped betwixt the confines of a rug, but when the plot does break free of its weaved environs, it spins an engrossing tale of the hunted and their prey. Offering up his select choices is Atticus Oldman, a purveyor of steampunk, based here in Edinburgh, and the architect of that online haven of all things steampunk in Edinburgh and beyond, the Steampunk Almanac. Quartermass and the Pit (1967): I first saw this action adventure concerning a Martian invasion of London late one new year’s eve in the early seventies, when I had been allowed to stay up late in bed watching tv while there was a party in full swing downstairs. I must have only been 8 or 9 at the time, and this film sacred the devil out of me. Still gives me chills to this day! 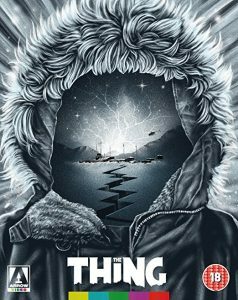 The Thing (1982): While most horror films of the early eighties seem hacked apart by the censor, The Thing made it through intact, or near enough, and what we have is a cracking science-fiction-horror that pretty much set the standard for special effects for years to follow. This was the first adult-rated film I snuck into the cinema to see, so it will always have a wee place in my heart. The Limehouse Golem (2017): A gory and gruesome romp through Victorian London in search of a serial killer is the basis for this excellent story, that has fantastic scenes, settings and acting throughout which makes this relatively new horror release a real modern classic. I thoroughly enjoyed this great movie and hope it will inspire similar productions in the future. As for my favourite horror read, it has to be Bram Stoker’s seminal Dracula, first published in May 1897. 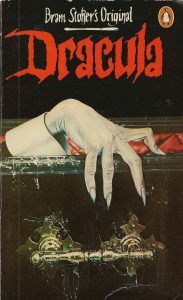 Despite the rather dry travelogue that opens this fantastic masterpiece of horror, Dracula is still an essential read which I return to at least once every couple of years. Best served up on a dark and stormy winter night with a side-order of candlelight and a hot toddy! Andrew Jamieson is the award-nominated author of steampunk fantasy novels, The Vengeance Path, and its sequel, Children of War, both available from the Amazon Kindle Store. Books, Events, Horror, Local Talent, Media, Movies, News, T.V.